I have plotted my ancestral places that are tagged in my Gramps genealogical GEDCOM database. These Places represent events -births, baptisms, marriages, or residence, etc. These Places belong to my direct ancestors, although they may also include siblings of ancestors. Overall, I have modified this map in order to illustrate the distribution of my East Anglian (almost entirely of the County of Norfolk, with a few over the border in Suffolk) ancestors over the past 350 years - as so far revealed by paper genealogical research. The BLUE markers represent the places of my father's recorded ancestors. The RED markers represent the places of my mother's recorded ancestors. The more events recorded for any place, the larger the marker. You can click on the image in order to see a full resolution image. The RED markers include pretty much all events for my mother's ancestors, as presently recorded in my family history database. She has no recorded ancestry from outside of Norfolk, for the past 350 years. She has an incredibly strong Norfolk ancestry. Particularly in the East of Norfolk. The BLUE markers do not cover all of my father's recorded ancestors, as I have also detected ancestry for him in Oxfordshire, London, and possibly Lincolnshire. These ancestors lived outside of the mapped area. 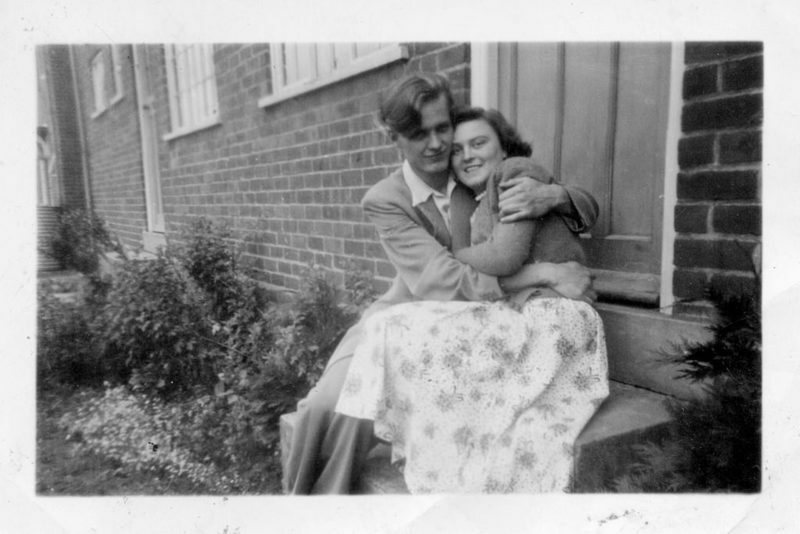 When my mother and father initially met each other in 1956, they believed that they came from quite different parts of Norfolk, from opposite sides of the City of Norwich, with my father moving from East Dereham to my mother's neighbourhood in the Hassingham area. Yet this map suggests that over the past 350 years, some of their ancestors have lived much closer. The chances of them both sharing common ancestry during the Medieval, or even more recently are good. This might support the findings of the POBI (People of the British Isles) 2015 study, that not only emphasised the homogeneous nature of the English, but also suggested that the old Anglo-Saxon kingdoms could still be detected as localised gene pools to today. 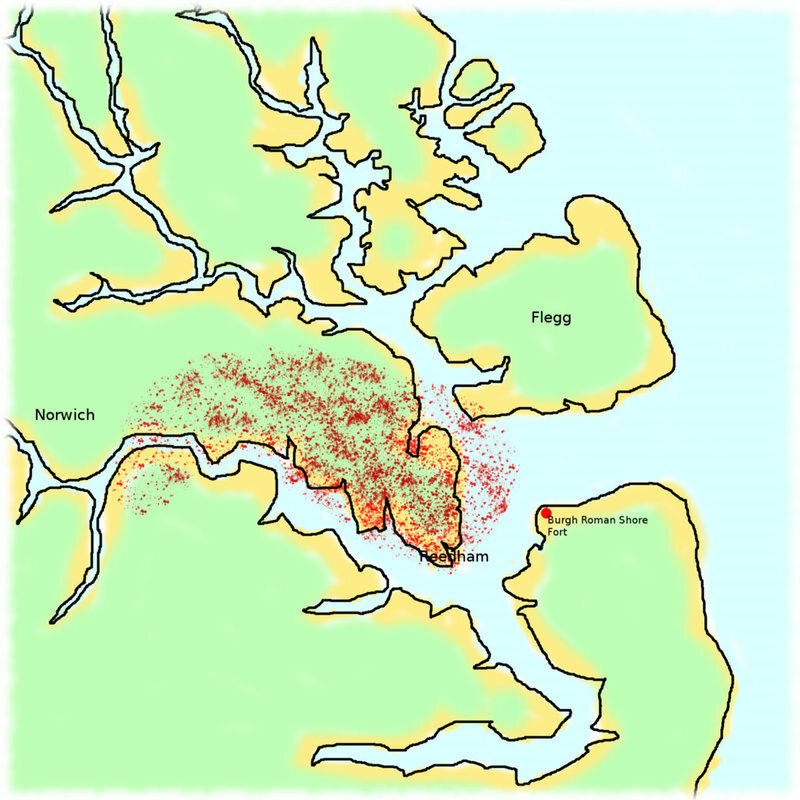 My hypothesis is that my mother's ancestors clustered in an area of East Anglia, that would most likely have experienced an influx of North Sea immigration between the 4th and 11th centuries AD from Frisia, and perhaps Angeln and Denmark. I also modified the below map from Wikimedia Commons. Attribution is: By Nilfanion [CC BY-SA 3.0 (http://creativecommons.org/licenses/by-sa/3.0) or GFDL (http://www.gnu.org/copyleft/fdl.html)], via Wikimedia Commons. This map, as the legend states, illustrates the distribution of my recorded direct ancestors (bother on my father's and mother's sides are in RED) across the wider area of England at a single generation level, based between 1756 to 1810. 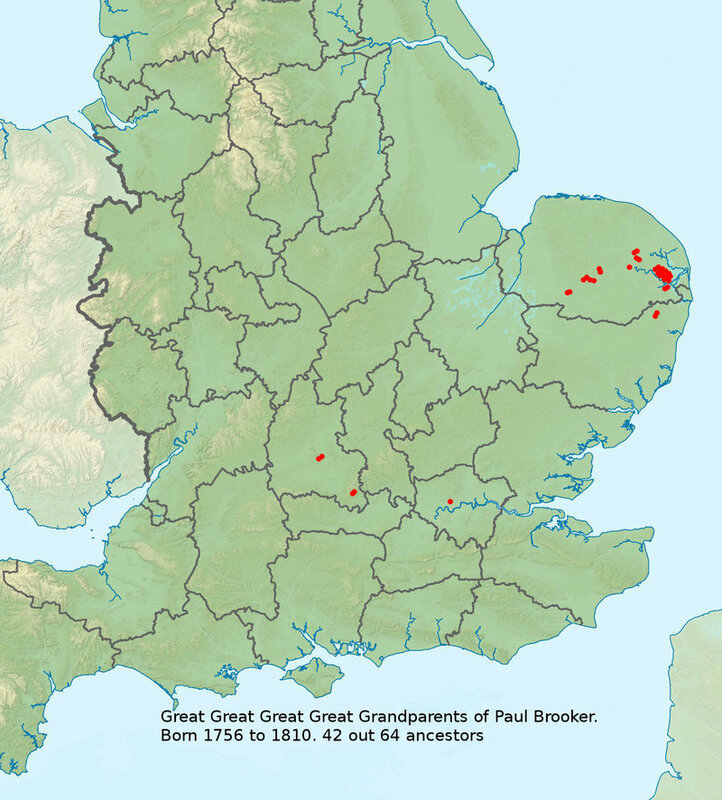 It suggests a combined ancestry, concentrated in Norfolk, East Anglia, but with a few lineages in Wessex / Mercia. Interesting - I have my 23andme results and a lot matches with your speculations about how British-Irish, NW European ancestry is plotted out. Am a H7a1 Mtdna - Cheers!